Ras Kass is a legendary west coast emcee who established himself in the mid 90s. 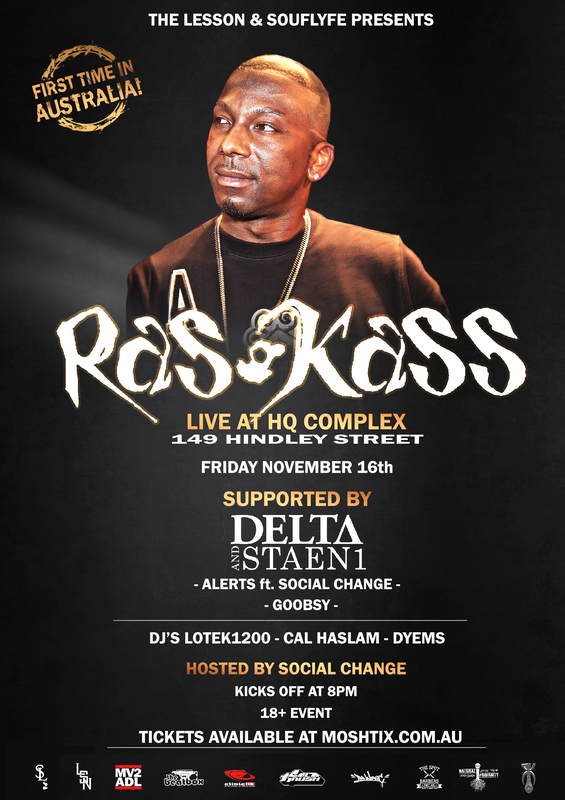 Ras Kass is coming to Australia for the first time ever. He is one of the most legendary emcees out of the west coast and is hitting Melbourne and Adelaide this November 2018! With a classic support bill of legendary Australian artists, this will be one of the top underground Hip Hop gigs of 2018.